At Ascent Dental, we love children and welcome them to our office. Our compassionate staff is experienced in proving gentle touch dentistry for children. We know that a child’s first dental experiences are formative and can help establish a positive lifetime habit of dental care or a negative one. Dr. Jeff Johnston decided to pursue dentistry because of his own childhood experiences as a dental patient, and he wants to ensure that all children have positive experiences in his office. When your child begins brushing is or her own teeth, make sure you help at night to ensure a thorough cleaning before bed. 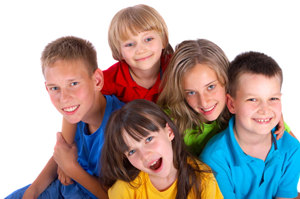 To schedule an appointment for your child at our Cherry Creek dentistry office, please contact Ascent Dental today.